The French sculptor Claude Lalanne, known for her work in copper and bronze inspired by flora and fauna, died today in Fontainebleau, near Paris, at the age of 93. Her imaginative sculptures sometimes carried a Surrealist touch, such as Pomme d’Hiver (2008), a large-scale bronze apple, Choupatte Géante (2016), a cabbage with chicken feet and a series of Crocodile benches. Lalanne also made sinuous jewellery and pieces of furniture that appear to be fashioned from twisted branches, leaves and flowers. Born in 1924 in Paris, Lalanne studied architecture at the École des Beaux-Arts and the École des Arts Décoratifs. Lalanne and her husband François-Xavier began exhibiting their work together, as Les Lalanne, in the late 1960s. Although the couple worked in tandem, Claude’s work was more focused on the delicate processes of nature while her husband’s was more theatrical, including installations of woolly sheep sculptures and a life-size rhinoceros that opens to reveal a writing desk. 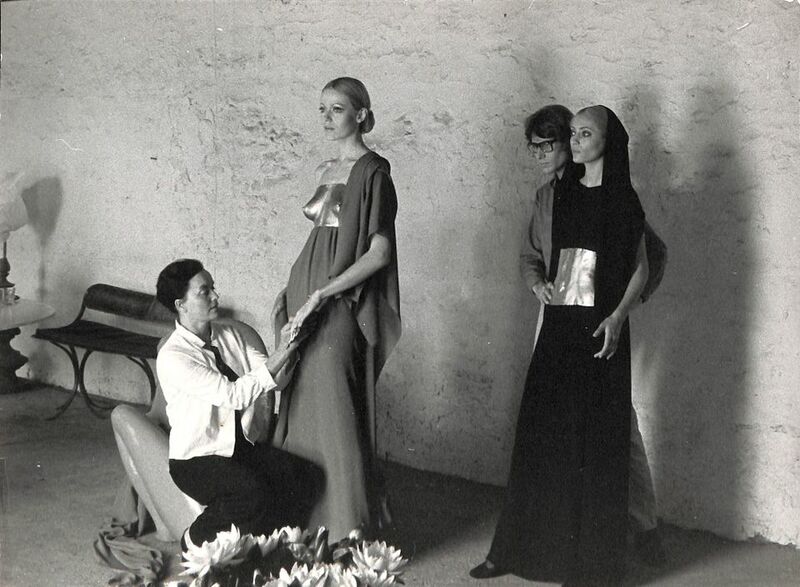 Lalanne’s work was admired and collected by many leading fashion designers such as Yves Saint Laurent—with whom she collaborated on his autumn/winter collection in 1969—Karl Lagerfeld, Marc Jacobs and Tom Ford. "In my house there are always works by Claude," Saint Laurent said in a 1994 interview for Vogue Paris. "What touches me about her is that she has known how to unite, with the same exigence, the artisanal and the poetic. Her beautiful sculptor’s hands seem to brush away the fogs of mystery to reach the shores of art." A set of 15 gilt bronze and galvanised copper mirrors adorned with branches by Lalanne from the collection of Saint Laurent and Bergé fetched €1.9m at Christie’s, Paris in 2009. “The Lalannes would gather a group of intellectuals—Pierre Bergé and Yves Saint Laurent, the author Françoise Sagan—around them in their country home in Ury, near Fontainebleau,” says Mitterrand, who started working with the couple in 1976, and has represented them since he opened his gallery in 1988. Recently Lalanne was commissioned by another close friend, the architect Peter Marino, to design a monumental staircase for the forthcoming Hôtel Samaritaine on rue de Rivoli in Paris. 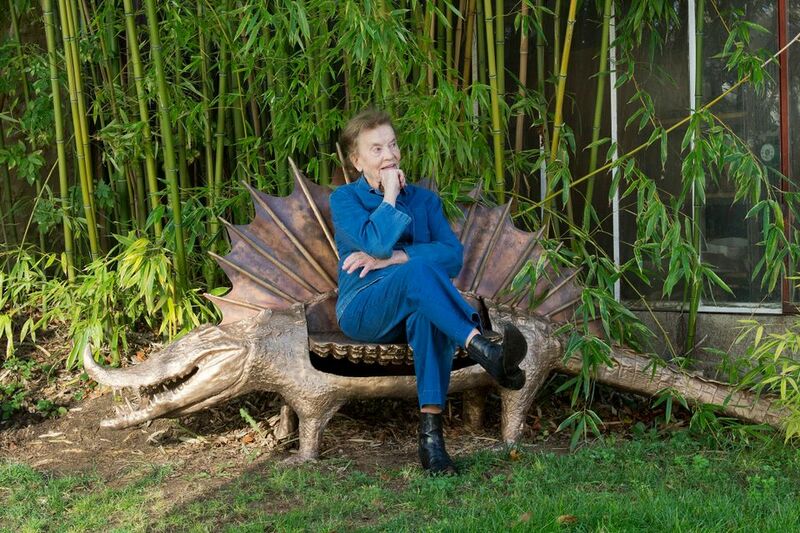 “In a few decades, Claude Lalanne created unforgettable and universal worlds where poetry and imagination speak to everyone,” says Olivier Gabet, the director of the Musée des Arts Décoratifs in Paris, which organised a retrospective dedicated to the artist and her husband at the Musée des Arts Décoratifs in 2010. Gabet adds that Lalanne’s work is “about the recognition of a practice that disregards the hierarchies between art, sculpture and the decorative arts”. Lalanne's work is in public collections including the Cooper Hewitt Museum in New York and the Centre Georges Pompidou in Paris. In recent years, solo shows of her work have been presented by the Galerie Mitterrand in Paris, Ben Brown Fine Arts in London and Hong Kong, and Paul Kasmin Gallery in New York. The Clark Art Institute is due to host an exhibition of Les Lalanne in summer 2020.